"MTBF: 100,000 Hours on Maximum Load at 25°C. Output Power: 300 Watts. 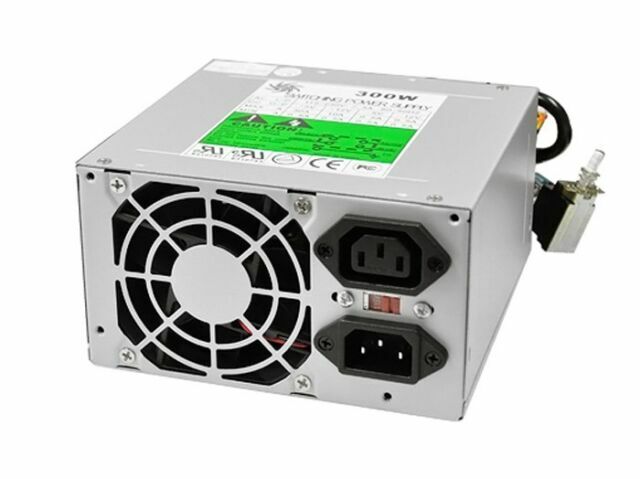 Product Sub Category: AT Power Supplies. Connectors: AT P8/P9 6 6pin x 1, AT Push Button 4pin x 1, Molex 4 Pin x 4, Floppy 4 Pin x 1."